Pollution levels during the second week of odd-even car rationing scheme remained high in the national capital, the Delhi Pollution Control Committee (DPCC) today told the National Green Tribunal. Pollution levels during the second week of odd-even car rationing scheme remained high in the national capital, the Delhi Pollution Control Committee (DPCC) today told the National Green Tribunal. “In the second week of the event (22-30 April), pollution level increased due to dip in the wind speed (0.72-1.68m/s). Almost same trend was observed in PM10 and Nitrogen Dioxide. Same trend was observed for residential area. Also, the adjacent and away from roadside area the behavior of the pollutants and wind speed was same,” the DPCC told a bench headed by NGT Chairperson Justice Swatanter Kumar. The DPCC report, which spans three different intervals, before, during and after the odd-even scheme was enforced, has attributed the decline in the air quality to the reduced wind speed, crop burning, with blazes at landfill sites and forest fires in Uttarakhand being added factors. “The analysis of the data generated before, during event and after the event shows that the total period was highly influenced by meteorological parameters like wind speed, wind direction, ambient temperature etc. “It is also observed that local and trans-state movement of pollutants also influenced the air quality of Delhi. The probable factors are crop residue burning in Haryana, Punjab, local fire in Delhi including fire in land-fill sites and Uttarakhand fire might also have had effect on ambient air quality,” the DPCC report said. It, however, said that range of concentration of particulate matter decreased as compared to the previous week (pre-event) during the first week of the scheme. The average value of PM 2.5, recorded at 89 micrograms per cubic metre (ug/m3) between April 6-14, went up to 111 during the first week of the scheme and 154 in its second week. Wind speed fell from 1.6 to 1.1 metres per second during the period. PM 10 rose from 323 ug/m3 in the first week to 360 ug/m3 while level of NO2 rose from 63 ug/m3 to 93 ug/m3. The safe standards of PM 2.5 and PM 10 are 60 and 100 respectively. 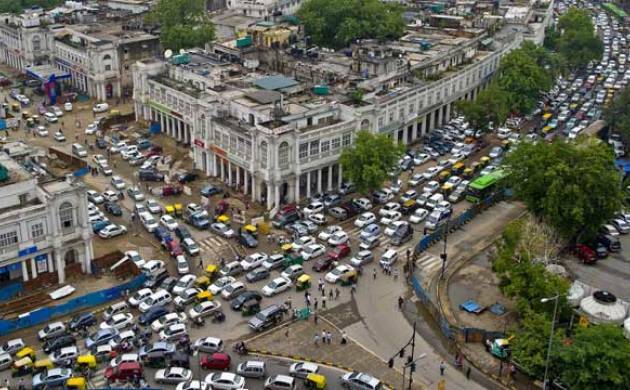 The second edition Delhi Government’s car rationing scheme, which was first implemented for 15 days starting January 1, was in force from April 15 to 30.